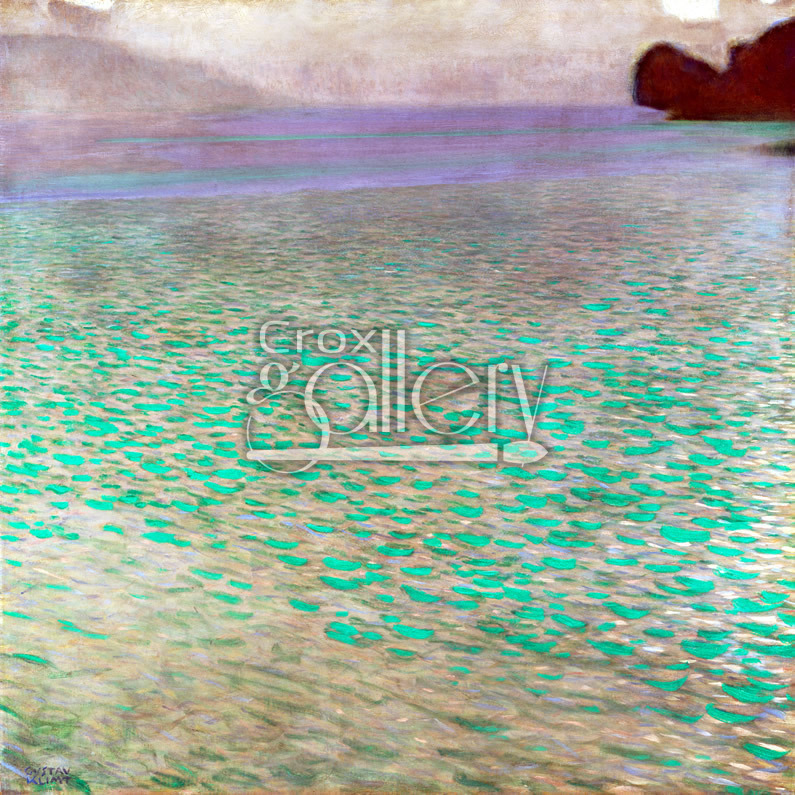 "Attersee Lake" by Klimt, Pointillist Painting. 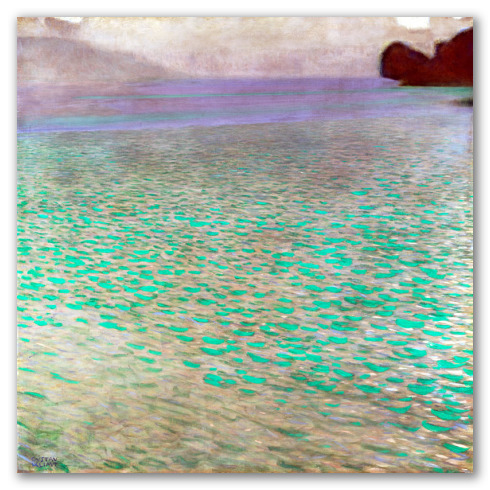 Attersee Lake is a masterpiece of pointillism by Gustav Klimt. The high contrast between the turquoise brushstrokes and the background of hushed colors creates a vibrant natural landscape. The painting was inspired by a lake located in Austria.